The new Artbooking Cricut Cartridge is one of those tools you "have to have". To showcase all the great projects, I joined a new blog hop called Artbooking in August! New projects will be posted each Monday in August. 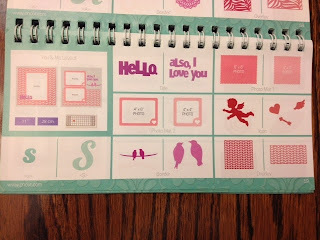 There will be over 40 blogs for you to visit so you will have plenty of inspiration using the new Artbooking Cricut cartridge from Close To My Heart. 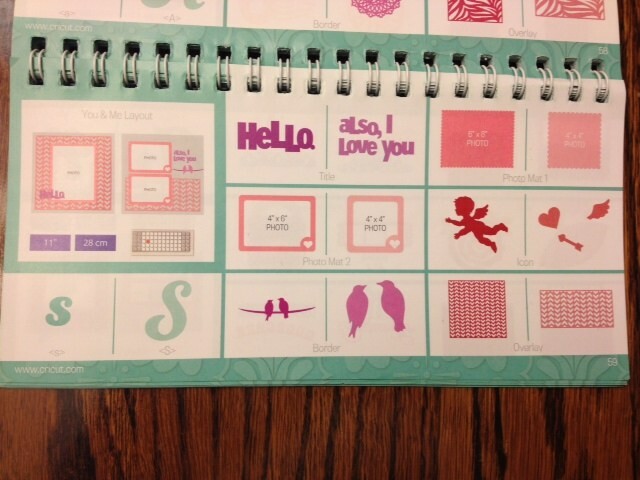 So here is a "sneak peek" at a layout I "copied". My friend, Joyce and I were "playing" with the cartridge this week. This is almost like Joyce's layout except I added the little heart in the word "love". Remember what they say - "imitation is the sincerest form of flattery"! So Joyce, I hope you are flattered! The background is white daisy cardstock. 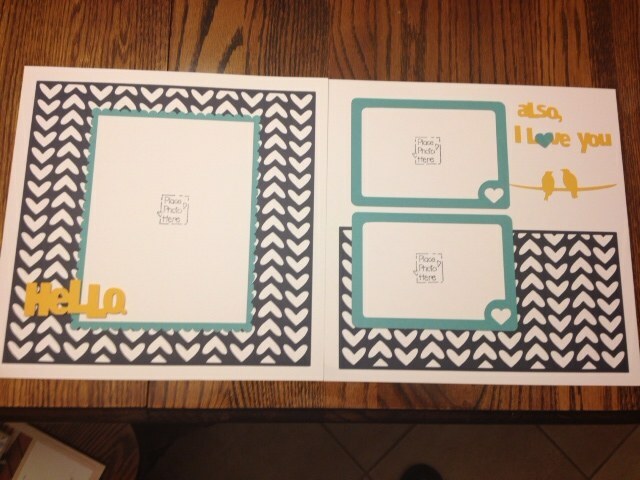 The "overlay" was cut in Outdoor Denim cardstock, the photo frames are Lagoon cardstock and the birds and words are Honey cardstock. This layout is so easy to make using this new cartridge. 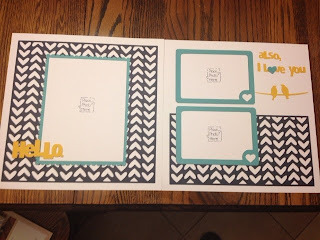 The shapes on each page are linked so if you want to make a scrapbook page, you set your machine to 11" and all the images are sized to fit the layout. Then just add your photos! Easy peezy! This layout is on page 59 of the Artbooking Booklet. Be sure to stop back on August 4th to see more beautiful artwork.